One of the most common issues I come across when carrying out bathroom work in Tunbridge Wells and Sevenoaks is a leaking shower. I will explain the types of leak that I discover and the best way to remedy them. A professional plumber will be able to advise on the best course of action for your problem shower. You can always contact us here to arrange for a free quotation in Tunbridge Wells, Sevenoaks and the surrounding areas. These are the 3 main types of leak from a shower that I come across in Tunbridge Wells and Sevenoaks. Firstly a leak on the supply pipework. This is a leak that has could been there since installation, a small drip or it could have developed from an outside influence or stress exerted on the pipe work. This type of leak no matter how small is constant and the only way to repair it is by checking the connections are water tight. If this type of leak has occurred then it could have damaged more than just the stain on the ceiling. The best advice for anyone that has signs of any type of water leak is to speak to a plumber. At TJD Plumbing, Heating & Gas Ltd we have leak detection equipment and a wealth of plumbing and heating knowledge to help identify the cause of the leak and to advise on the best way to remedy the leak on your property in Tunbridge Wells, Sevenoaks and the surrounding areas. The second type of leak I come across when carrying our plumbing work in Sevenoaks and Tunbridge Wells is a leak from the shower waste. This is normally identifiable by the leak being intermittent and only ever when the shower has been in use. This type of leak can normally be repaired if the shower has been installed with a riser kit (legs). If not then a repair can normally be carried out by creating access underneath the shower. The first thing to check in this instance is that it is not just the rubber seal to the shower waste that has caused the issue. This type of repair can be quite intrusive. A skilled plumber should be able to diagnose and advise on the best course of action. The third type of leak I frequently come across is a leak from the shower enclosure itself. This is the type of leak that annoys me the most. It is normally always caused by poor workmanship. Its amazing how many people fit shower trays and enclosure but do not understand the basics of how they are designed to work. The main cause of this type of leak is the shower tray not being sealed behind the frame. The same can be said for shower screens on baths, in the last week I have discovered 2 of these leaks and the repairs to them were a new bath and a new shower as the original installation work had been carried out by people who think they knew what they were doing. A shower enclosure/screen works on the principal that any water that gets in the frame will travel down and drip back into the tray. for this reason the shower tray must be fully sealed and the enclosure sealed on the outside! Some high quality silicone, I only ever use Dow Corning 785 for showers. Make sure that the shower tray and walls are completely clean and dry. If using a tool, like fugi, to smooth the silicone then select an appropriate profile size so that the finished bead covers the gap between the tiles and tray and the shower enclosure channels and the tiles. Cut the nozzle at a 45 degree angle, ensure the hole is not too big. Some sealant tubes have notches to help you decide the cut. Always start small, you can enlarge the hole if needed but you cant make it smaller. If using a sealant tool you will be able to remove the excess easier. However try not to use too much silicone sealant. Try to ease the trigger out to re squeeze it so that you can carry out the seal in one motion. Lightly spray the bead with you soapy liquid, (don’t soak it). Then using the fugi tool against the tray and tiles, using consistent pressure pull the tool along the length of the tray to remove excess sealant leaving an even bead. You may have to clean the tool and do this in a few movements. this is why I use soapy liquid on the bead before pulling the tool through. Leave to dry for a at least 24 hours. Could you save money this winter? Its August but looking outside the window here at TJD Plumbing, Heating and Gas you would think it was almost winter in Tunbridge Wells. With this in mind I thought i’d use my first blog post to give some tips and advice on saving money over the winter period. If your gas and electricity bills are high in Tunbridge Wells have you considered upgrading your boiler. Boilers can make up over half of your annual energy bill, so its worth giving TJD Plumbing, Heating and Gas a call to see if you could benefit from a boiler upgrade and arrange for a free quotation. 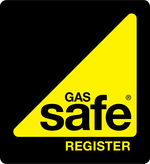 We are gas safe registered and can offer warranties up to 10 years on selected boilers. 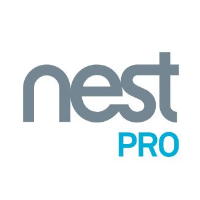 We are nest pro installers in and have fitted a wide range of smart thermostats. 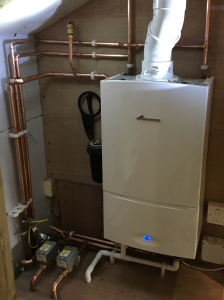 If you are interested in having intelligent heating and hot water controls fitted in Tunbridge Wells or Sevenoaks then please do get in touch with TJD Plumbing, Heating & Gas Ltd. Also remember that even just turning down your existing thermostat by 1 degree and by shutting doors and using draft excluders you could contain the heat in your home to help you stay warm. A leaking tap uses a lot more water than you think, if its a hot tap its using water and energy! If you have a dripping tap, shower or toilet in Tunbridge Wells or Sevenoaks then give TJD Plumbing, Heating and Gas a call. Use less water,– a standard bath takes around 80 litres of water, but taking a four minute shower can use half of that. We are also Aqualisa trained installers as well as fitting all other brands. Please give us a call to discuss upgrading your shower to a more efficient one. 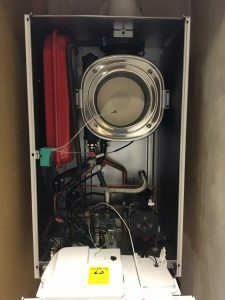 Servicing your old boiler will not only help improve its lifespan but also its efficiency. Servicing your new boiler is normally also required to keep the warranty valid. TJD Plumbing, Heating and Gas have kept up to date with most manufacturers and can competently service gas boilers. So if you need to book a boiler service call TJD today on 07748966845. Contact us if you would like to find out more information about replacing your boiler or upgrading your heating. http://tjdservices.co.uk/wp-content/uploads/2017/03/logo-trans.png 0 0 tom http://tjdservices.co.uk/wp-content/uploads/2017/03/logo-trans.png tom2017-08-18 10:34:152017-08-18 10:34:15Could you save money this winter?